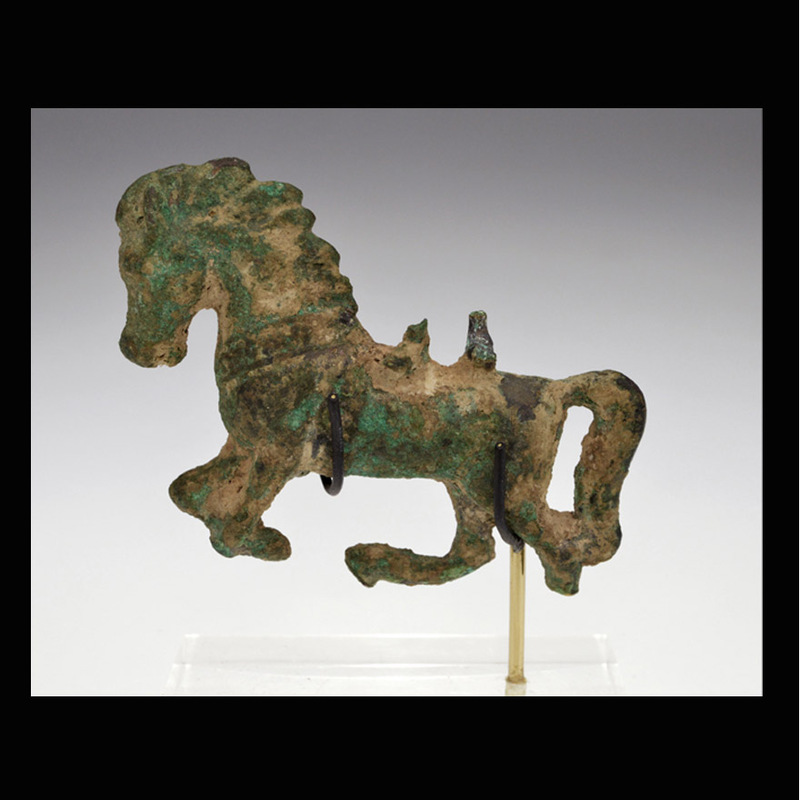 A miniature bronze figure of a galloping horse. The casting capturing the raised mane and cocked tail of a horse in flight. Adorned with a necklace or breast-collar, on the back are two human feet from a standing figure lost in antiquity. 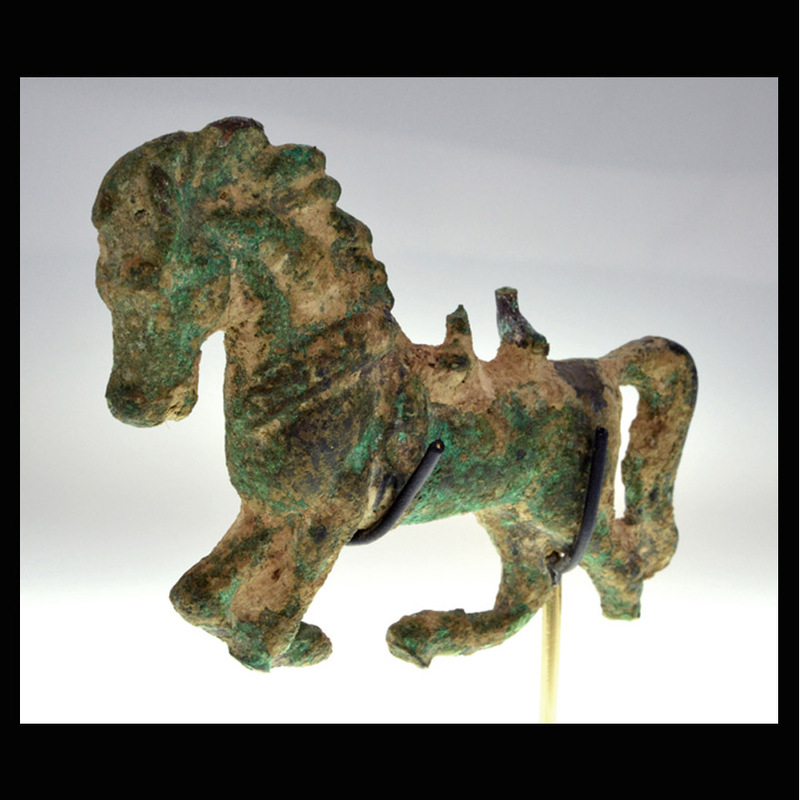 Built up verdigris patina, with earth accretions evident. 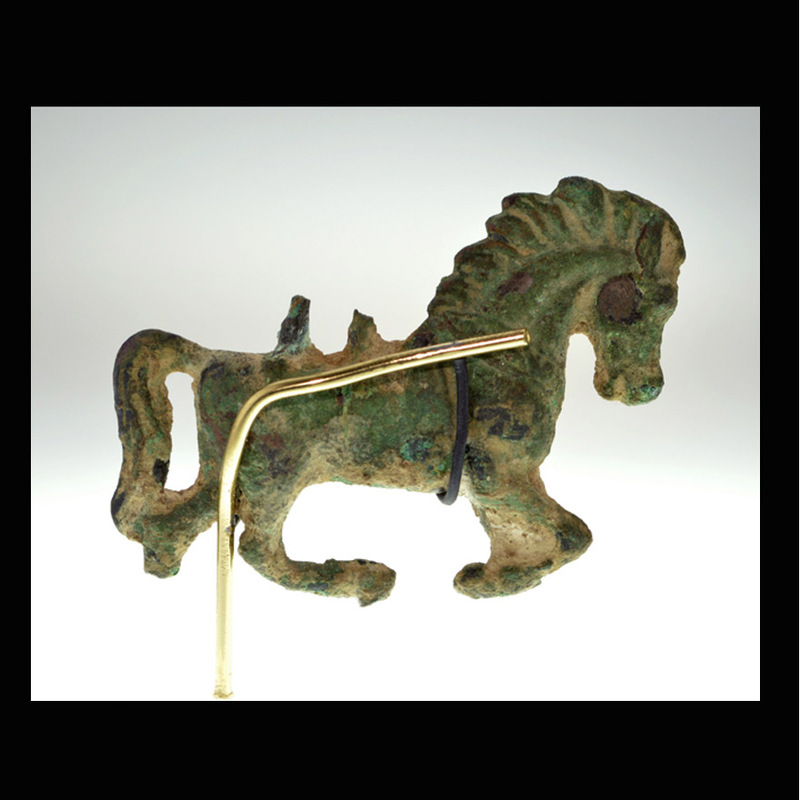 Ancient loss to the rider and rear hoof, in otherwise good condition.